The rivalry between the two clubs dates right back to the beginnings of organised football in the city. 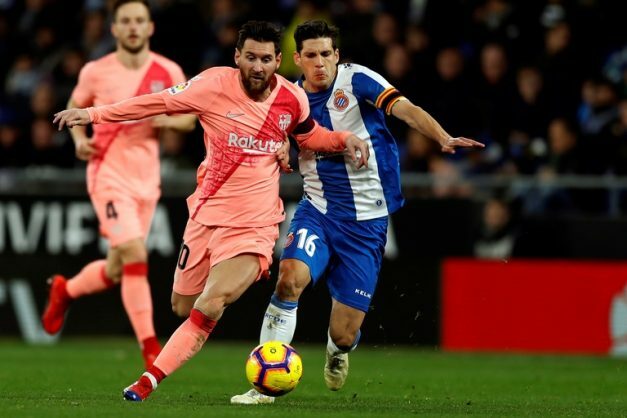 Easily the most important regular fixture in the city of Barcelona’s sporting calendar, LaLiga’s Catalan derby brings together FC Barcelona and RCD Espanyol in a game that features huge local pride while showcasing the Catalan capital to the world. The rivalry between the two clubs dates right back to the beginnings of organised football in the city, three decades before the establishment of LaLiga. There have also been Catalan derbies (also known locally as the derbi barcelonés) through the years in the Copa del Rey, Spanish Supercopa, Copa Catalonia and the now defunct Fairs Cup. While 25-time LaLiga winners Barcelona have often come out on top, Espanyol are always eager to upset their historically more successful neighbours. The two clubs had similar but ultimately different origins at the turn of the 20th century. Barcelona were established by Swiss student Hans Gamper in November 1899, with many of the founder members coming from the city’s cosmopolitan ex-pat community. Espanyol were set up the following October, with locally-born engineering student Angel Rodriguez Ruiz as president and the team drawn mostly from migrant workers from other Spanish regions such as Andalucia, Extremadura, Galicia, and even Madrid. The first Catalan derby soon took place, on December 23 1900, a goalless draw played at the now gone Camp de l’Hotel Casanovas stadium. The rivalry was well-established by the time LaLiga began in 1929. Both clubs were founder members and Barça’s 5-4 victory during that first season remains the highest scoring Catalan derby ever. The fixture has been played in LaLiga every year since, except for the four seasons Espanyol spent in the second tier. Barça’s biggest victory came early, a 5-0 win in 1933/34, while older Espanyol fans will still recall their side’s record 6-0 success during the 1950/51 LaLiga campaign. A special moment for the city came in 1957 when Barça and Espanyol met in their only Copa del Rey final to date. Barça won 1-0 at the Estadio de Montjuic, the stadium which later served as Espanyol’s home ground from 1997 until 2009. The teams also met in the 2006/07 Spanish Supercopa, when Barça were LaLiga champions and Espanyol Copa del Rey holders, with the Camp Nou outfit running out victorious 4-0 on aggregate. Ex-Barça playmaker Xavi Hernandez is the player with the most Catalan derby appearances ever (32), while his former teammate and current captain Lionel Messi has the most LaLiga goals in the fixture with 18, including two hat-tricks and a four-goal “poker” in 2011/12. Espanyol’s top scorer against their cross-city neighbours is Rafael Marañón, with nine between 1974-1983, while Raul Tamudo’s famous ‘Tamudazo’ derby equaliser back in 2007 – which cost Barcelona the LaLiga title – ensured his place in the fixture’s history. Many players have represented both sides of the city divide, going right back to legendary 1930s goalkeeper Ricardo Zamora, born in the city and now honoured by the award for LaLiga’s best goalkeeper each season. Others to wear both “Blaugrana” and “Blanquiazul” through the years include Ladislao Kubala, Jordi Cruyff, and Ivan de la Peña. This season’s derby has added spice. Periquitos forward Sergio Garcia came through the ranks at Barça’s La Masia academy, while Barça coach Ernesto Valverde has the distinction of playing for and coaching both clubs. Moreover, Espanyol’s Catalan boss Rubi was on the Camp Nou coaching staff during the 2013/14 campaign.